The preschool program at Seffner Christian Academy focuses on the development of your child in all areas: physical, emotional, social, intellectual, and spiritual. 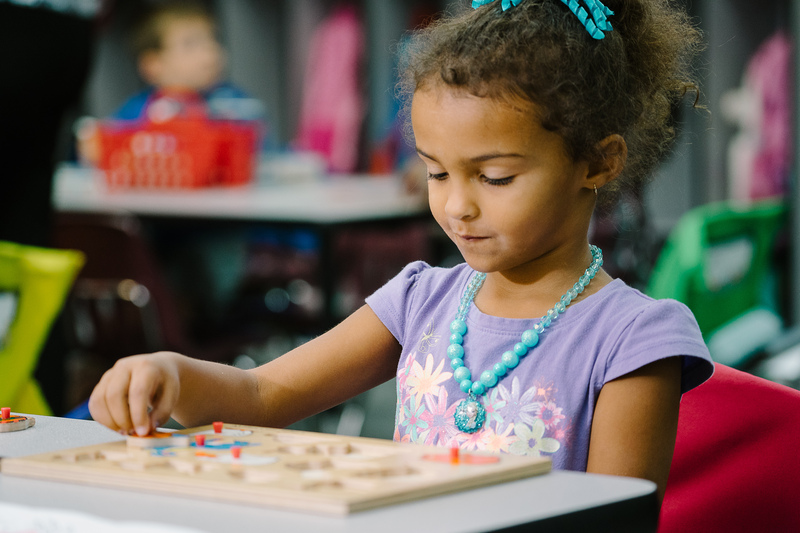 Students are engaged in the learning process through participation in “learning centers” with hands-on projects and indoor and outdoor activities. Through these activities students will also develop their skills in language, math, and writing. The children also enjoy special classes in physical education, music, and library; the 4 year olds also enjoy computer, and art. Technology is utilized in the classroom with the aid of our iPad lab and Discovery Center, complete with a SMART table. We enjoy teaching themed units with learning activities that support the various learning styles and allow for creative communication. Seffner Christian Academy has a family-friendly preschool program. The teachers are committed to creating a classroom environment in which children feel secure, safe and loved. SCA strives to integrate all subjects and activity with the Word of God. The school endeavors to develop a spiritual foundation that will affect our students for years to come. It is a privilege to have your child as part of the Seffner Christian Academy family. The early learning center is an extension of the home, and the teachers will partner with families in the education of your child. Interested in learning more about our Preschool program? Click here to contact our Admissions Counselor to schedule a tour.